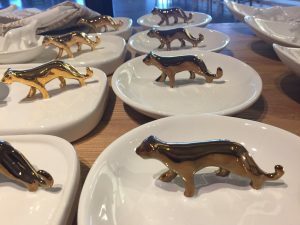 Leopards have always had a very special place in my heart. 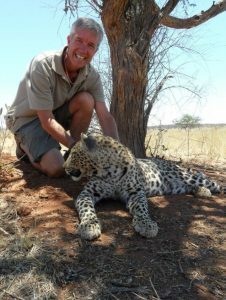 If I was to name my favourite animal it would be a leopard, strong and lithe and a solitary night hunter able to stalk and climb. 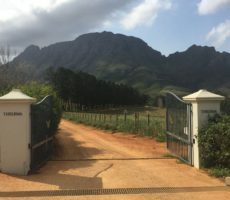 I came to South Africa from England in 2010 to train as a Game Ranger. 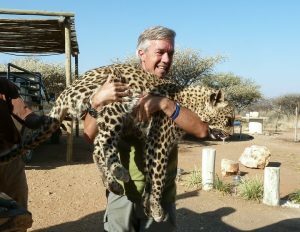 It was whilst guiding in Namibia that I was hugely privileged to have regularly walked with 2 leopard cubs. 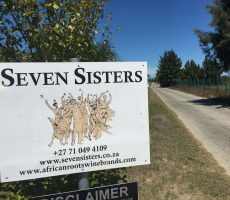 They were a male and a female and safe only to walk free in the bush until they were a year old. 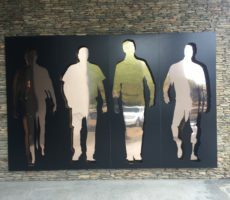 Beyond that they were too dangerous. 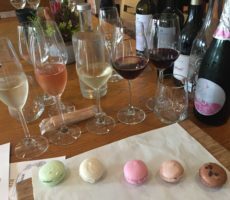 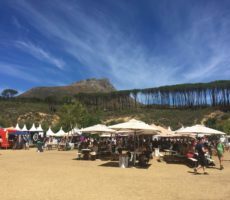 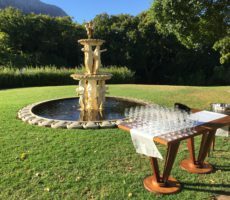 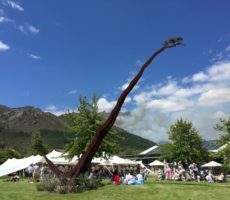 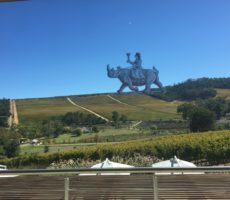 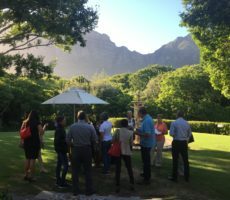 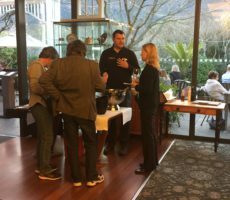 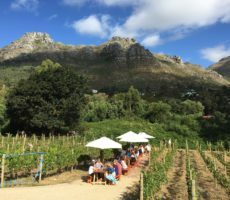 I cannot believe that it is over 2 years since I visited Leopard’s Leap, for the Franschhoek Summer Wines Festival in 2017. 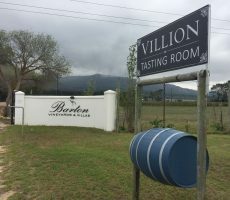 I did not taste any of the wines then as I vowed to return for a ‘proper’ tasting and review. 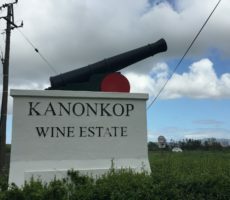 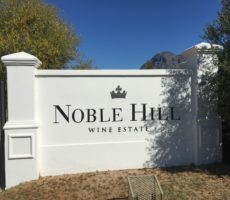 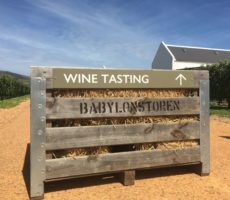 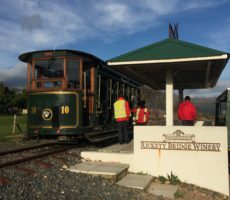 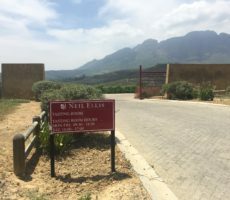 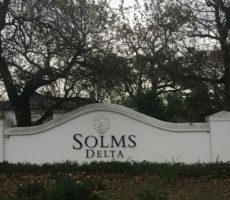 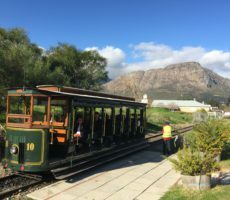 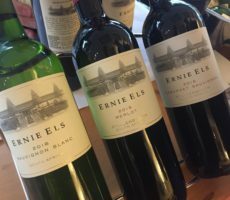 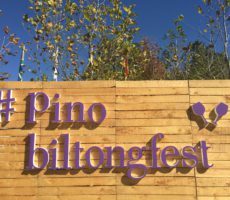 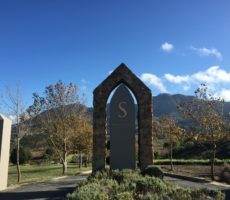 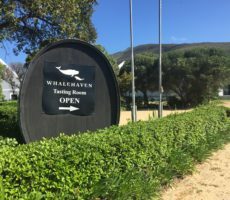 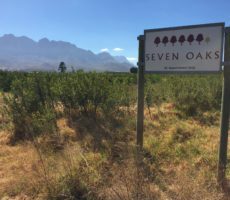 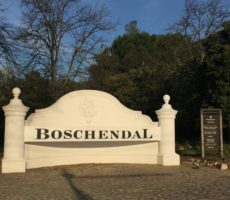 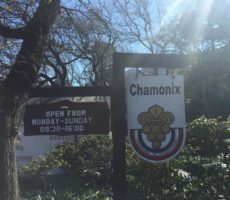 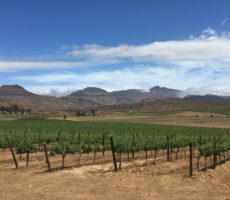 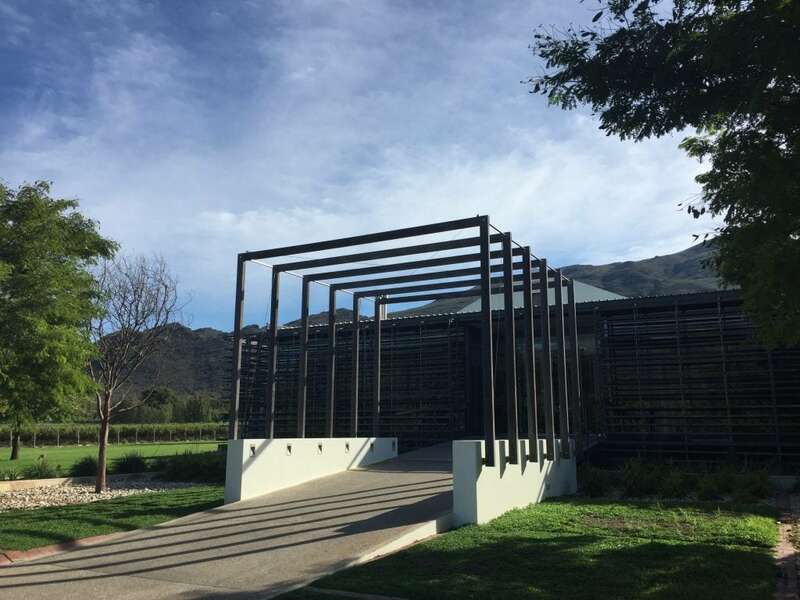 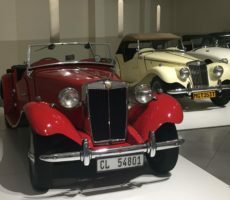 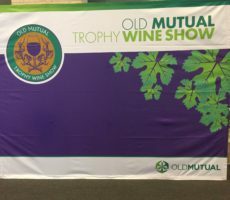 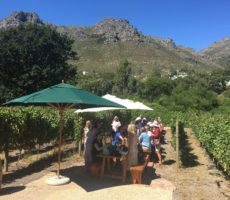 It made sense too to spend a day of tasting in the Franschhoek area having been to Keermont, Dornier, Haskell, Rust en Vrede and Peter Falke in the Stellenbosch ‘golden triangle’ on the last 2 occasions. 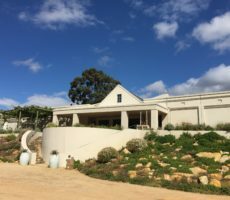 It helped too that Leopard’s Leap opens from 9.00am to allow time for a full day of tasting. 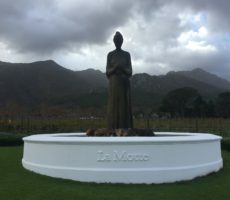 I should add too that neither Lynx, La Chataigne nor Topiary (all nearby to the West of Franschhoek) responded to my advance emails requesting a tasting visit. 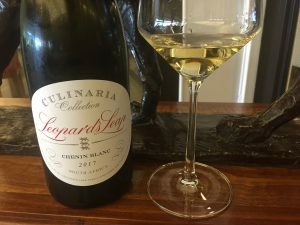 Leopard’s Leap is easy to find off the R45. 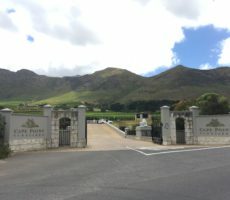 The entrance was familiar as I passed the barrier and stopped to photograph the Carignan vines on my way to the parking area. 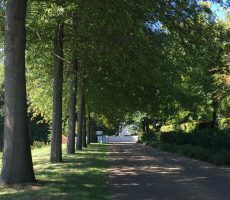 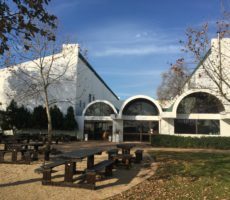 Today, the lawn beside the impressive modern Tasting Room and Restaurant building was empty of marquées and festival-goers. 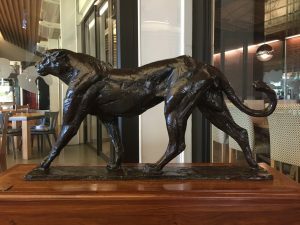 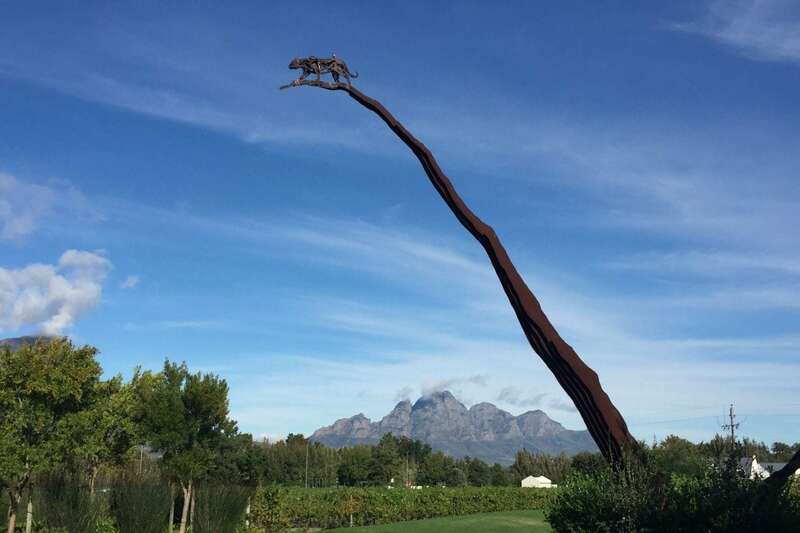 Only the bronze leaping leopard remained to soar over the vines. 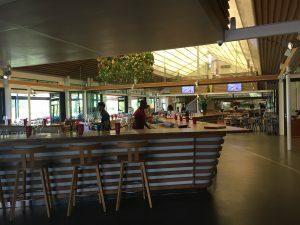 The large open plan Tasting Room is vast and, on arrival, reminded me of a university or hospital cafeteria with its open kitchen and dining area at the far end. 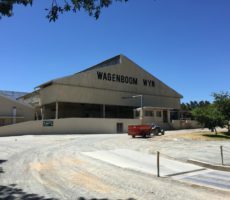 The modern and central tasting counter dominates. 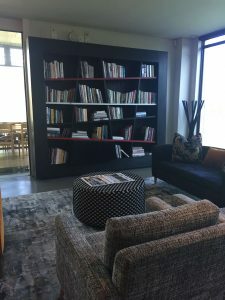 Closer to the entrance there is an intimate seated library area for reading. 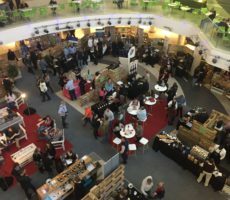 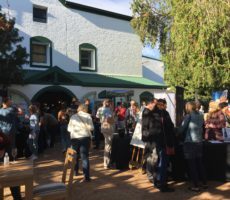 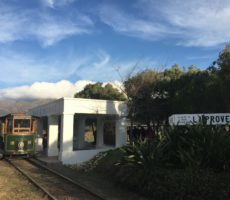 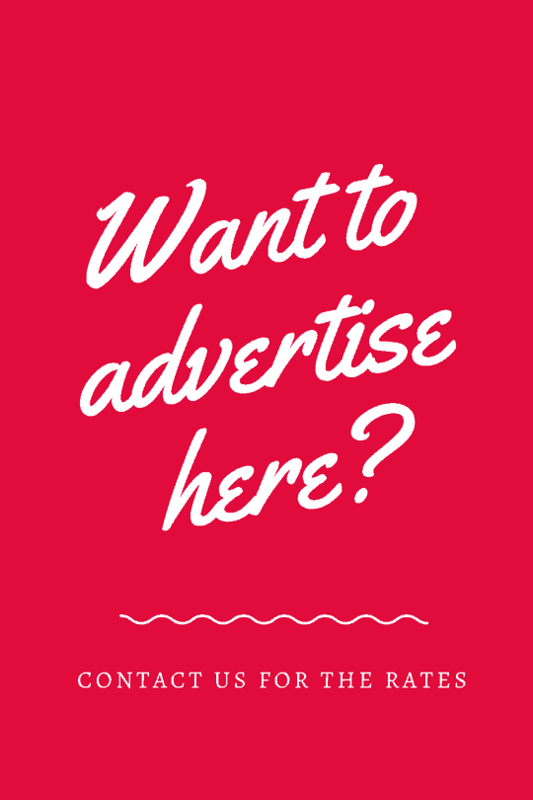 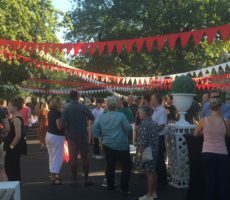 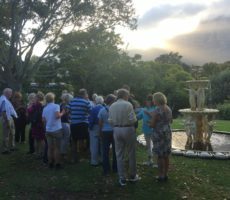 Leopard’s Leap is a generous supporter of South African authors and literature, sponsoring regular writing and literature events across the country. 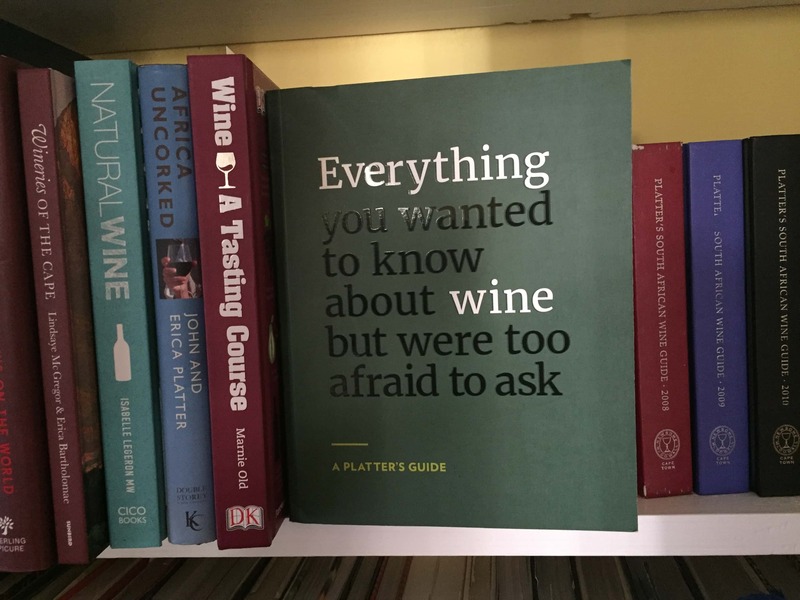 On my right are the toilets, with their funky wine-themed signs, and a large shop that specialises in cooking books and kitchen equipment together with wine and wine-related merchandise. 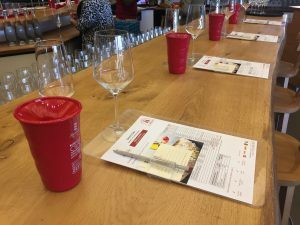 I made my way to the counter and introduced myself to Charlo who is my tasting host. 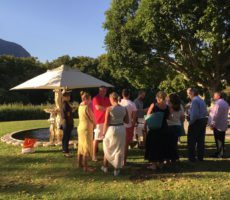 We immediately connected as he, like me, is a Cape Wine Academy student. 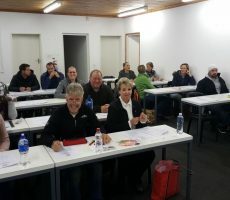 He will shortly be starting the 2-year Diploma Course (International wines) as I complete it. 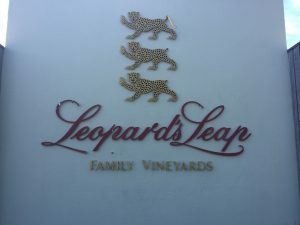 There are 2 basic tasting options that cover the extensive Leopard’s Leap range of wines, each a tasting of 6 wines. 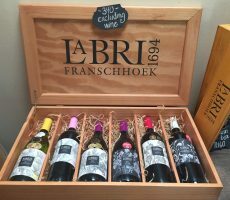 The first (R40) covers the lighter life style wines from the Lookout, Classic, Special Edition and Family Collection ranges. 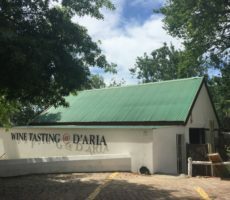 I choose the second option (R55) that includes all 6 wines from the Culinaria Collection of the more complex, whole bunch, barrel-fermented food-friendly wines. 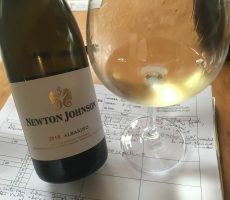 I ask to taste, out of selection, the Classic Sauvignon Blanc as I was looking for the wine for a tasting. 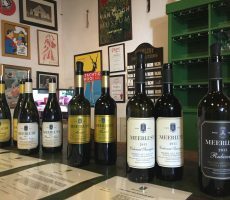 The wine is excellent value for R55. 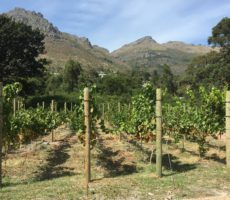 It is made from grapes that come from the Robertson and Villiersdorp regions which explains the complexity of both herbaceous (green pepper) and tropical (guava) aromas. 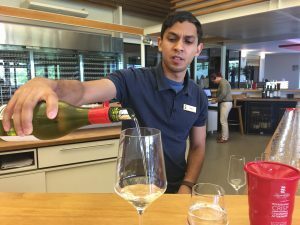 The intensity was low but then the wine was served too cold and straight from the fridge. 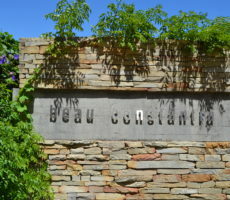 It is clean and undemanding with a crisp acidity with a slight weight from 3 months contact with the lees. 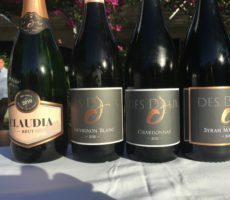 The remaining wines were all from the Culinaria Collection. 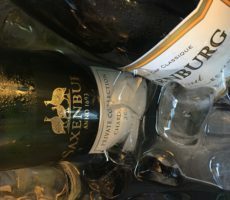 I started with the Brut MCC that is made from the 3 classic Champagne cultivars: Chardonnay, Pinot Noir and (rarely included in MCC) Pinot Meunier. 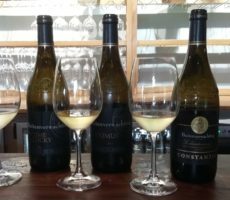 The Chardonnay comes from Durbanville whilst the Pinot grapes are from Elgin. 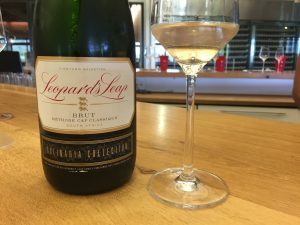 The bubbles are light and the wine has a stewed apple and sweet brioche nose. 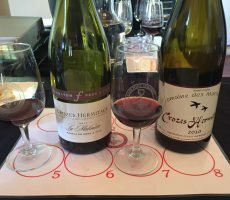 The palate is weaker than the nose as the fruit flavours weaken but nonetheless has a pleasant moussante mouthfeel. 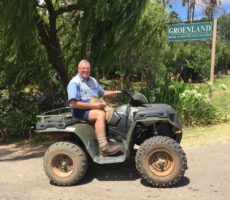 Charlo tells me the history of the farm. 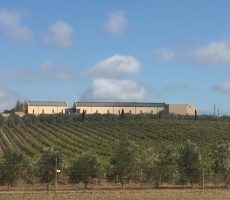 I am surprised to hear that Leopard’s Leap has no vineyards and that all the grapes are bought in, as if some giant garagiste. 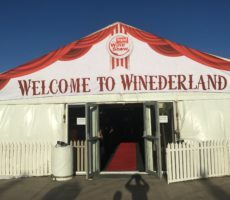 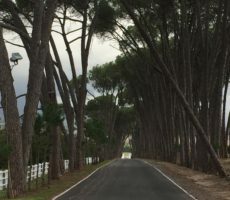 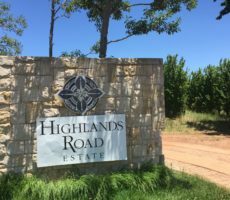 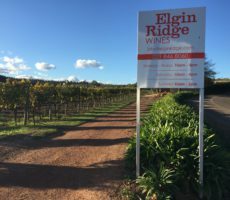 It explains why the Carignan, Tempranillo and other cultivars I have seen in the vineyards lining the entrance road do not feature as wines on the Tasting Menu. 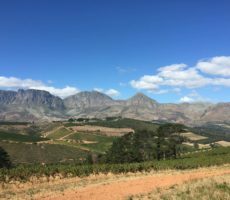 These vineyards actually belong to the La Motte Estate that is next door. 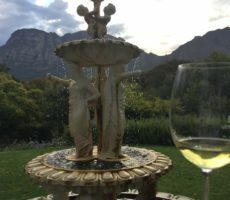 I rate the Chenin Blanc even higher. 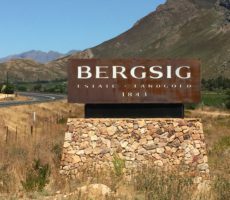 The wine is made from bush vines grown in decomposed granite soils over clay in the Perdeberg region in the Swartland. 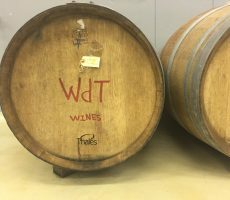 The grapes are fermented in 2nd/3rd fill 250/500 litre barrels and matured for 9 months on the lees. 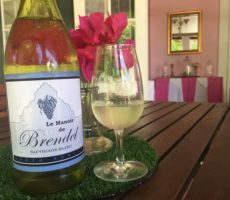 This gives the wine a reassuring weight of mouthfeel to complement the tropical pineapple, guava, litchi and white honey aromas on the nose. 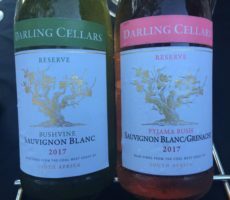 Like the MCC, the fruit flavours weaken on the palate that has a simple minerality and high acidity. 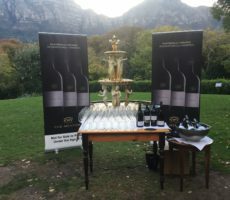 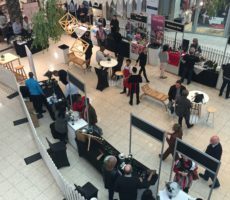 The Leopard’s Leap brand was established in 2000 and focuses on the international market (75% of sales) starting in the UK but broadening to include more than 40 countries world-wide. 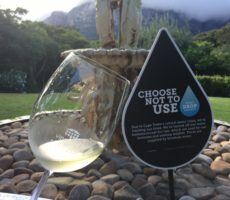 Four million bottles are produced annually with reds being the majority (60%) followed by whites (39%) and rosé (1%). 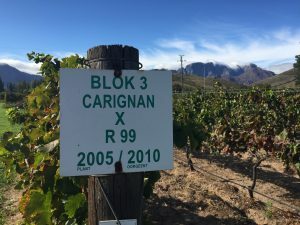 The size of the export market helps keep South African prices competitive. 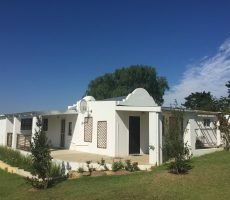 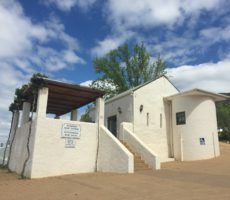 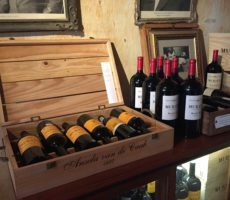 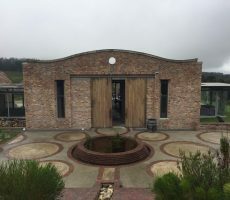 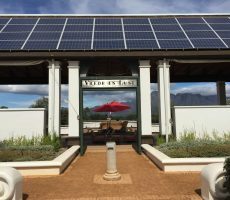 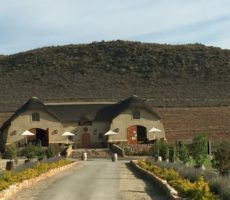 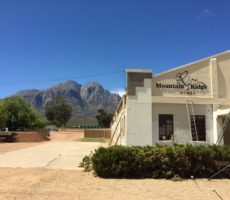 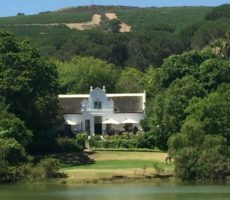 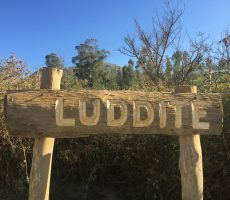 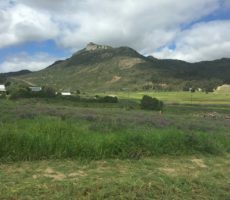 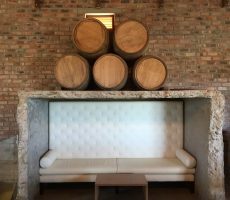 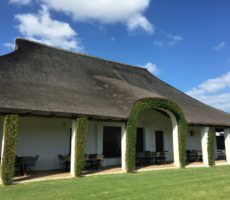 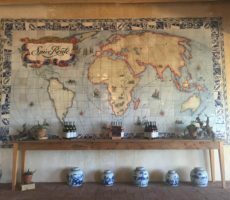 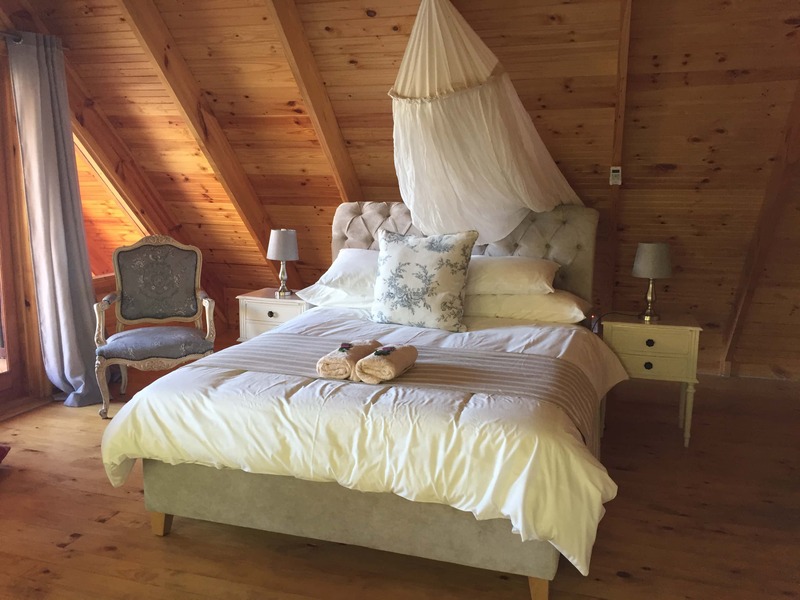 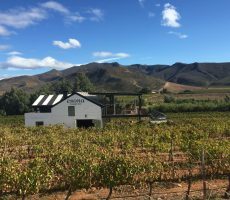 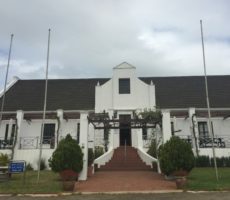 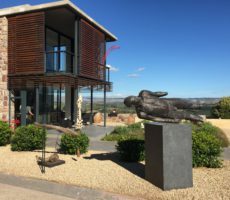 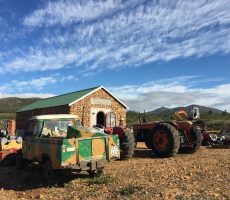 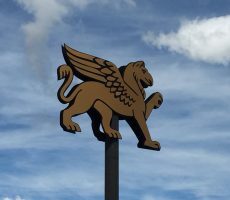 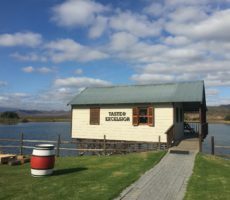 It was only in 2012 that owners Hein Koegelenberg and wife Hanneli Rupert-Koegelenberg (also the owner of La Motte, next door) opened the Leopard’s Leap Tasting Room and facilities. 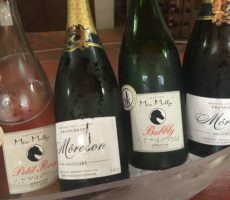 I tasted next the pale pink, almost onion-skin coloured Pinot Noir/Chardonnay whose grapes come from the same regions as the MCC. 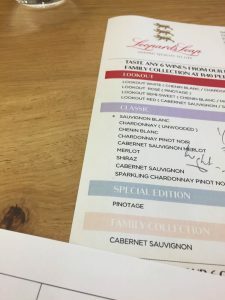 The wine tasted very much as I expected. 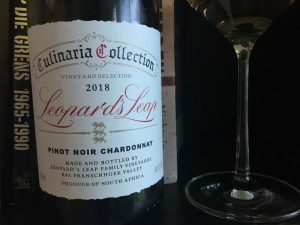 This is the classic summer pink drink, with: low intensity candy strawberry and white cherry aromas; medium acidity; moderate 12.5% alcohol; and a light finish. 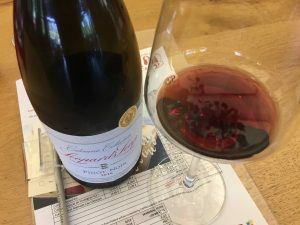 The Pinot Noir, made from Elgin grapes and matured for 24 months in barrels (30% new/70% old French oak) and 12 months in the bottle, disappointed. 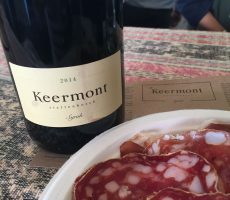 The wine was classic Pinot Noir colour and showed a medium intensity of bitter cherry, cranberry and clove on the nose. 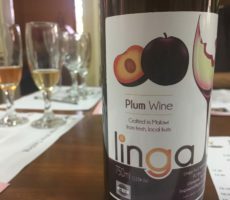 It was let down by thin, weak flavours on the palate and a limited finish. 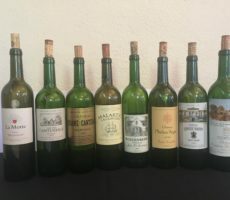 By contrast, the Bordeaux-styled Grand Vin was my favourite wine of the tasting. 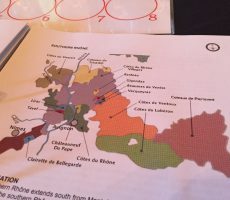 A ‘Grand Vin’ is the main wine produced by a Bordeaux château. 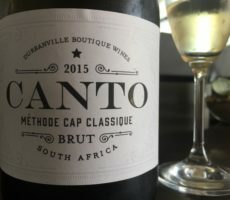 It sounds grand but has no special meaning in the French appellation classification system. 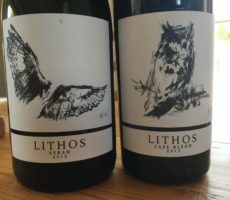 The wine showed a much better intensity and complexity on the nose than the other reds with bolder red and black fruit aromas – notably blackberry, black plum and cherry – due to the combination of 4 different cultivars. 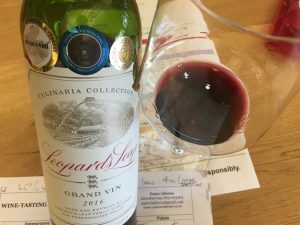 The palate was lighter in weight than expected (perhaps that is the Leopard’s Leap style) despite 30 months of maturation in oak (30% new/70% old) and 12 months bottle ageing. 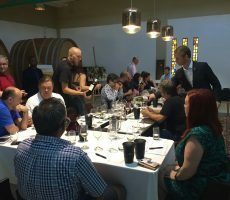 The tasting ended with the Culinaria Muscat dessert wine, made with Robertson grapes that was served in a Port-sized glass. 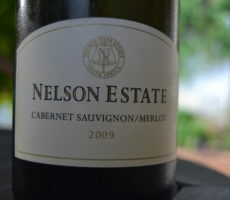 The nose was fresh, floral and fruity with notes of grape and Turkish delight. 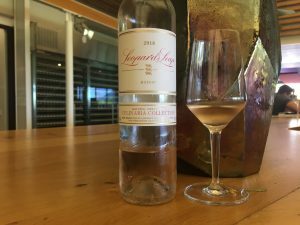 I could easily have mistaken it for a Gewürztraminer from the aromas but for the very pale pink colour. 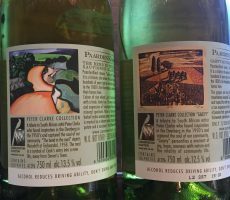 Apricot and orange flavours emerged on the palate for a clean, sweet to semi-sweet and light mouthfeel. 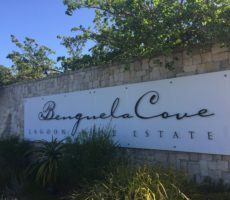 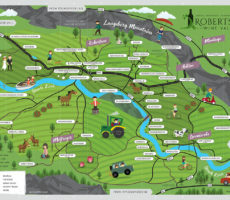 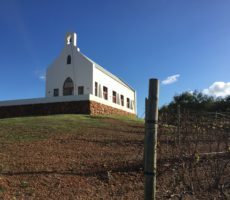 It is very easy to dismiss the popular wine estates before even tasting their wines. 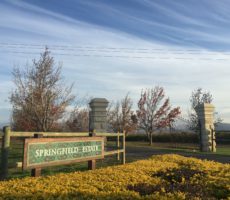 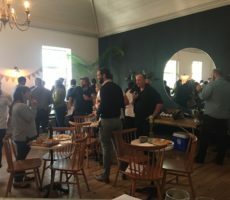 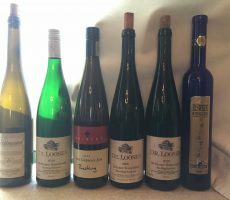 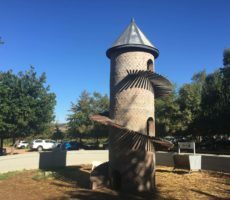 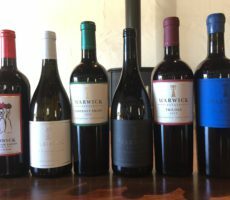 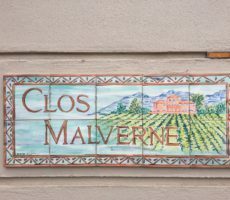 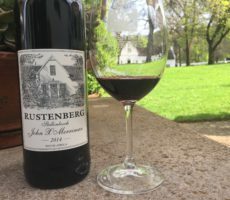 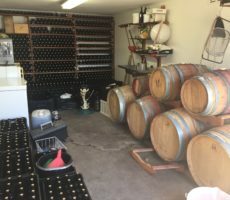 Such preconceptions and prejudice are wrong and it is why I keep an open mind as well as tasting at wineries across a broad range, large and small, historic and new, and with high reputation and little or no reputation. 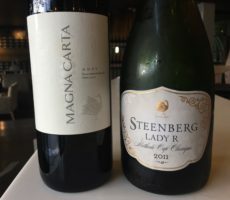 It is why too I score the wines not only using the Cape Wine Academy 20-point scale (3 for Appearance, 7 for Nose, 10 for Palate) but also give a separate rating for personal ‘Likeability’ (10 points). 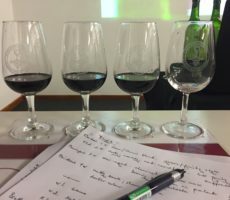 This helps me to remain objective whilst scoring as my preference is separated. 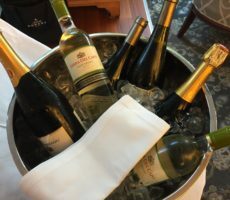 I carefully protect my independence. 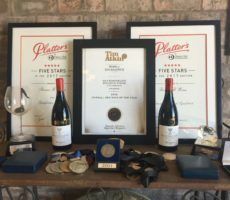 Thus, I have awarded low ratings to some of the most well-known, Platter’s Guide starred, and most-visited South African wine estates. 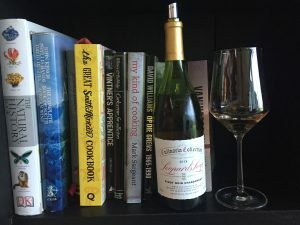 I try hard not to be a wine snob and to be aware of the workings of my subconscious (if that is possible). 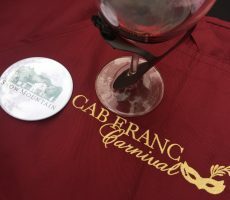 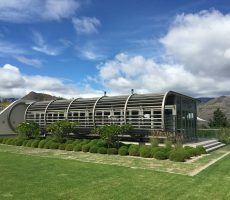 It is a pleasure, therefore, when a popular wine farm that makes lifestyle wines surpasses expectation. 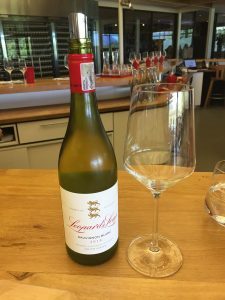 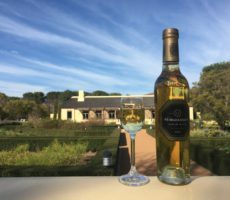 I discovered this first at Groot Constantia that makes some excellent quality wines. 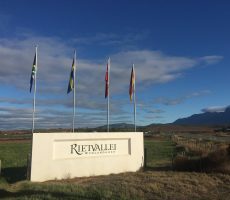 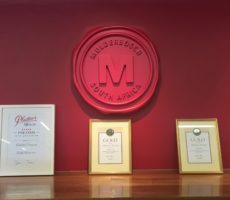 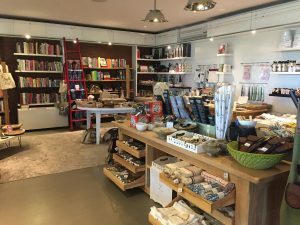 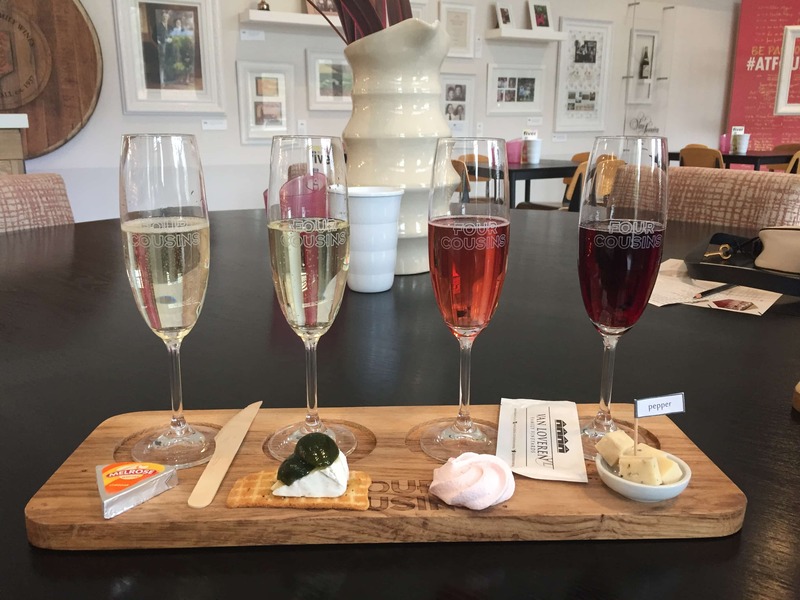 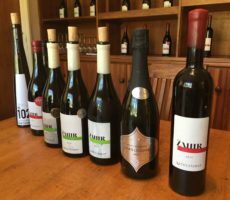 I did not like, for example, many of the wines at Viljoensdrift in Robertson but I respect their very successful business model and excellent knowledge of their target market. 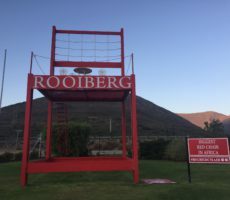 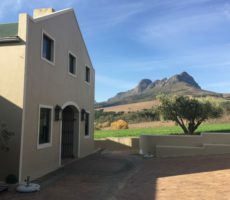 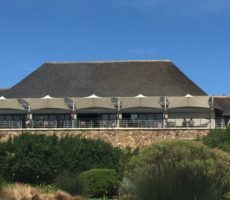 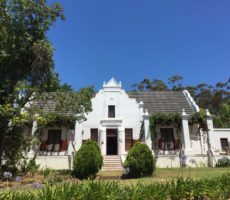 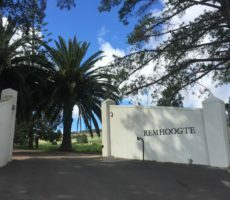 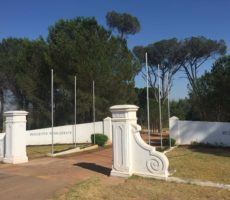 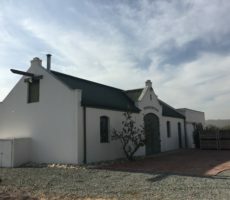 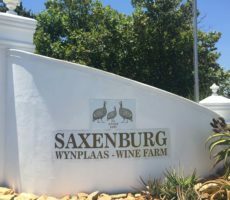 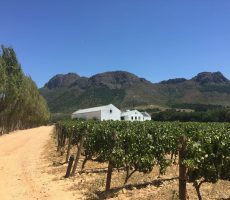 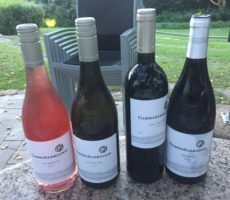 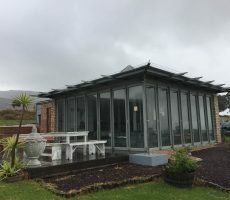 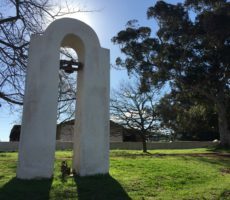 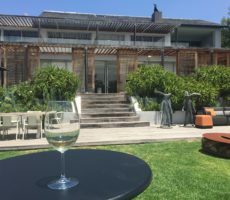 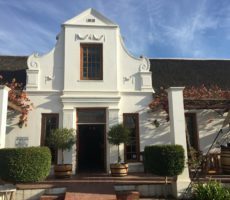 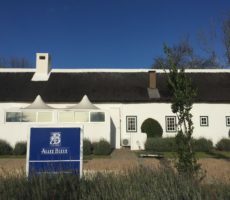 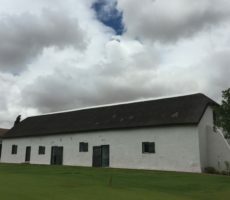 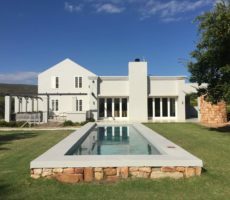 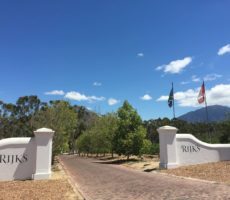 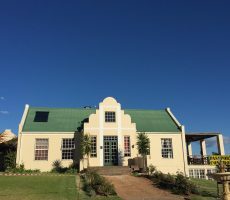 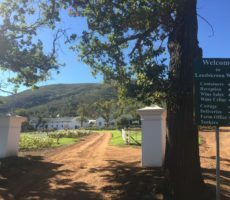 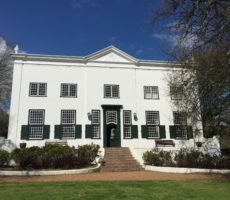 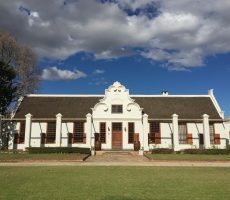 Vergenoegd Löw, of duck-walk fame near Somerset West, similarly surprised as their wines exceeded the tourist expectation. 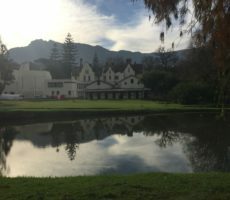 So too did Leopard’s Leap. 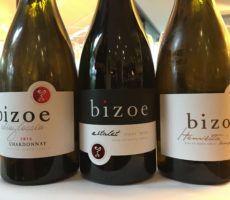 The wines were not all of my preference and style. 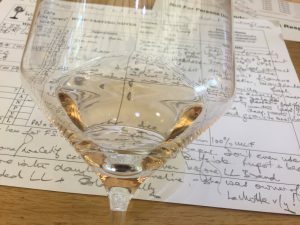 I down-rated the Palate score for many due to their average balance, short length, low intensity and modest complexity. 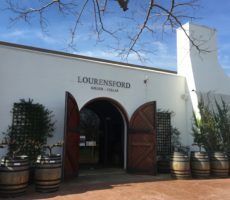 Sales of 4 million bottles a year across the world is a significant business and so Leopard’s Leap is doing something right. 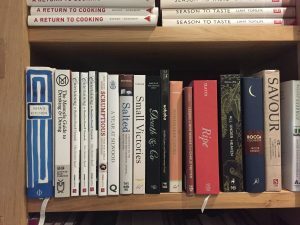 Quantity, as they say, has a quality of its own. 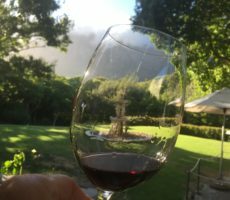 One of the key determinants for a wine tasting is the experience itself. 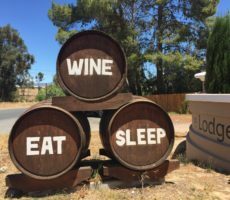 Otherwise, why visit at all? 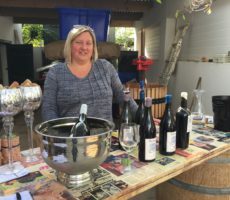 One could simply buy the wines from the local bottle store and taste then at home. 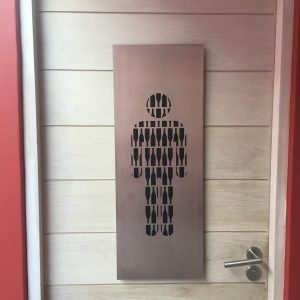 Today, Charlo made a difference. 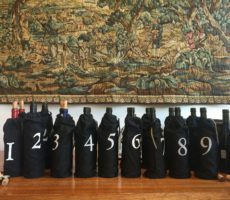 Too many tasting staff, including at even the ‘top’ estates, pour and tell the same story with almost robotic and monotone manner. 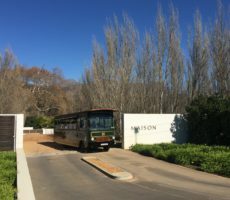 It is not easy, as I know from game drives, to be and sound as animated and excited on seeing ones 1000th impala as the first – but that is what guests expect and deserve. 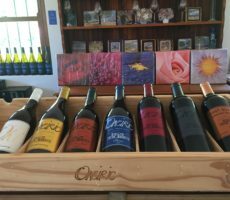 Charlo did not only attentively pour and describe the wine but he showed an understanding beneath that went beyond. 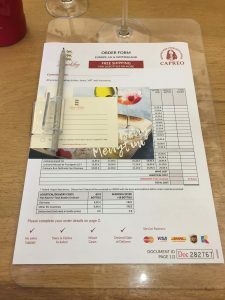 The attention to detail too to the customer pack, complete with recycled pencil, clipboard, order sheet and more was also impressive.